Just because a recipe is basic, doesn’t mean it has to be boring. This ground turkey and rice recipe is a perfect example of that fact. With just four simple ingredients, we figured out to make this quick and easy recipe taste like something someone might think you spent an hour in the kitchen creating. The secret? Sesame oil. This low-calorie, low-sodium seasoning oil is the magic ingredient that can transform this recipe (and many others) from flavorless to phenomenal. It can be added into almost anything, and it gives a dish a subtle Asian twist without having to use soy sauce that packs in a lot more sodium. 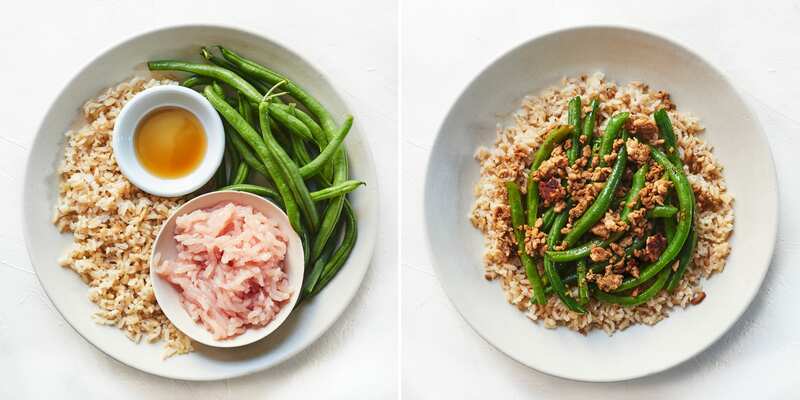 Once you stock your cabinet with this meal-changing oil (don’t worry, it’s pretty easy to find at most grocery stores), then you’ll be able to whip up this ground turkey and rice recipe in no time. 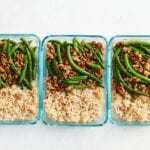 We also added in some green beans into the mix for a fresh veggie side that makes this a well-balanced, healthy meal. (Make sure you use brown rice to get in those good whole grains!) It’s perfect for a quick dinner at the end of a busy day when you don’t want to spend any more than 30 minutes cooking. You can also make this dish for a healthy meal prep lunch. It stores well, so pack it up into your favorite containers and enjoy it all week long. You might be surprised at how nice it is to meal prep and have all your lunches cooked and ready for the whole week. This way, you don’t have to think about eating healthy – the meal is just there! It can help reduce the temptation to pop down to the café down the street for that greasy meatball sub. It might taste good in the moment, but our ground turkey and rice recipe won’t make you want to take an afternoon nap like that sub will. 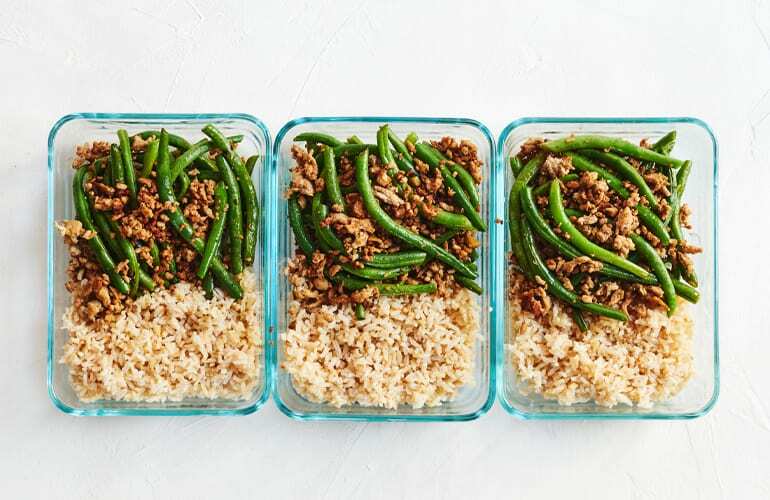 This ground turkey and rice recipe gets a major upgrade by adding crispy green beans and a bit of sesame oil for some extra flavor. Add turkey; cook, stirring frequently, for 4 to 6 minutes, or until browned and no longer pink. Add green beans; cook, covered, stirring occasionally, for 4 to 6 minutes, or until green beans are tender crisp. Season with salt and pepper (if desired); mix well. Serve each portion over ⅓ cup rice. Serve each portion drizzled with 1½ to 2 tsp. reduced sodium soy sauce.